PKParis have announced a clever new USB device, which enables you to transfer files between your computer and your tablet more easily… it’s easy because… it has two different connectors. 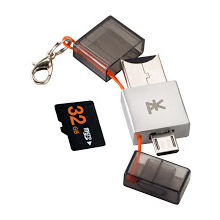 The PK K’2, unlike other USB storage has both a standard USB plug, for when you plug into your computer – and then on the other side there is a Micro-USB. If your phone or tablet supports USB On-The-Go (OTG) – then all you have to do is simply plug this into the bottom (no special adapter cable required), and you’ll be able to mount it on your phone and access the files. This means if you can play media straight off of it if you have the right media player – for example, copy across a video file from your computer to the stick, and play it straight off the stick with Astro or ES media player on your phone. Brilliant. Some of the phones that are compatible include the overwhelming majority of Samsung Galaxy phones, the Sony Xperia, Nexus 4, Nexus 7 and many others. 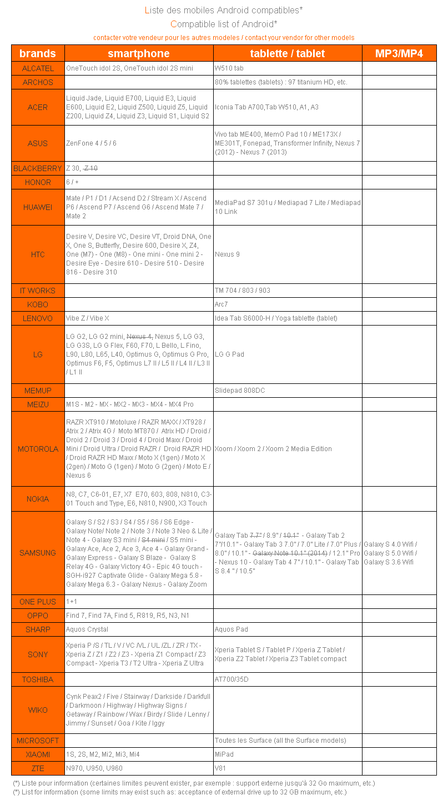 You can see the complete list on their website. The stick itself has 16GB of built in storage, and despite only being 34.5x17x7mm also sports a micro-SD reader – which can expand storage available on the USB by up to 32GB. And there’s also a loop for it to be threaded on to a key chain, so you can’t lose it. The PK K’2 is due to retail for €29.90 – which works out as £25 exactly, which seems like a good deal to me. Misleading title – the Meenova MicroSD reader OTG is the smallest, not this one. Nexus 5 not compatible? Or perhaps list needs updating..